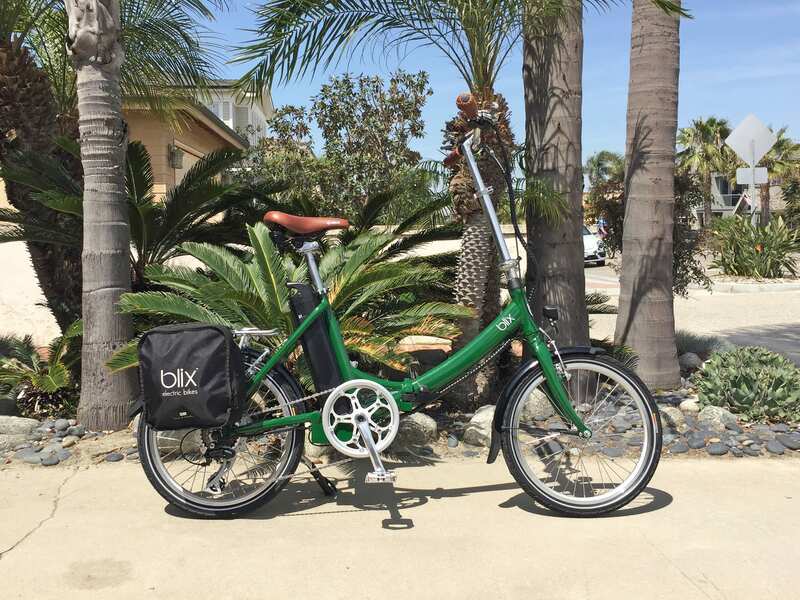 The Blix Vika+ is a classically styled, step-thru, folding electric bike with upgraded drivetrain hardware, a full accessories package, and a quiet but powerful geared hub motor drive system. It’s one of my favorite folding models on the market right now because it hits a reasonable price point but is still sold through dealers. That means you can go for a test ride, see the three different colors in person, and get help with maintenance and support down the road if needed. 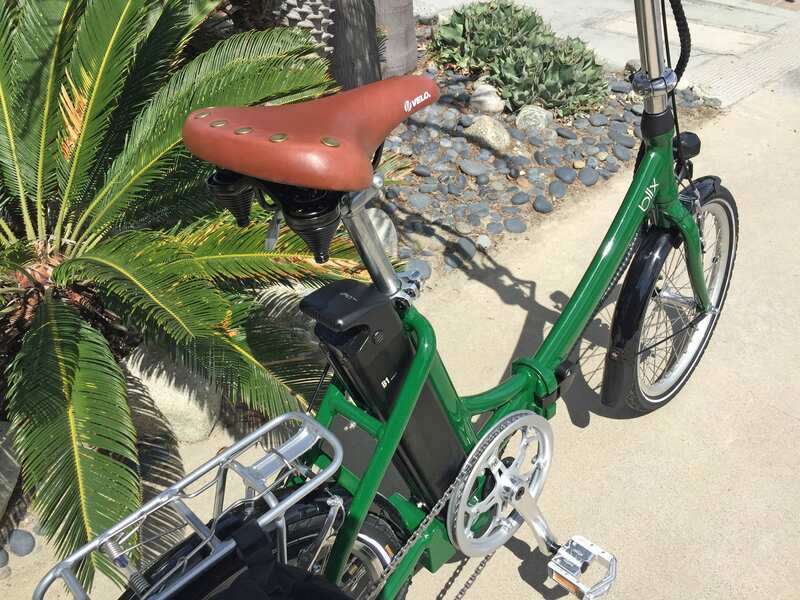 I’ve reviewed the Vika Plus two other times, heard positive testimonials from dealers across the US (as I travel for reviews), and recently covered the new Vika Travel… it’s an even smaller folding ebike for people who want to completely minimize weight and size. 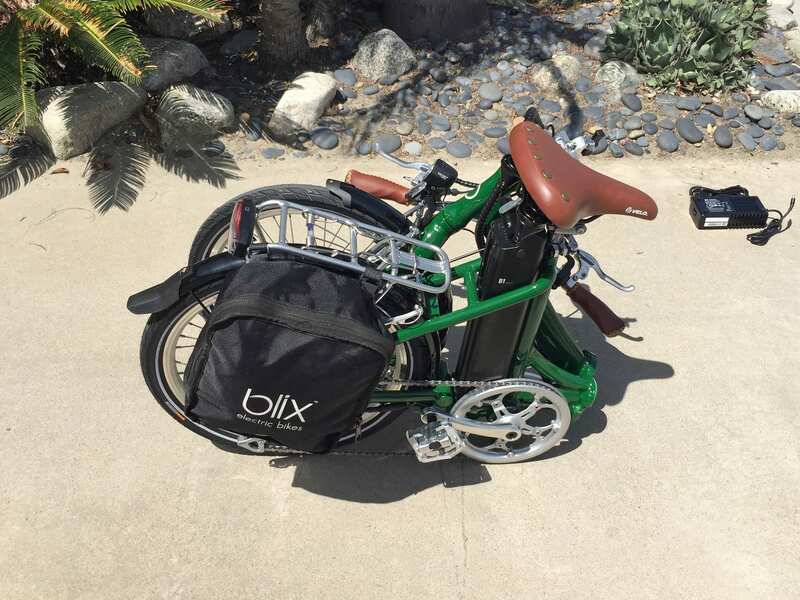 The really cool part about the Blix lineup is that many models utilize the same battery pack interface, so you could get a Vika Travel, the Vika+, or maybe the full sized Aveny or Stockholm and share the packs between them. 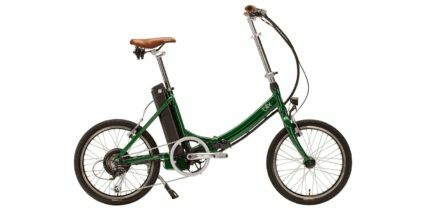 Folding electric bikes tend to be easier to mount and stand over, for petite riders, because they often use 20″ wheels, as is the case here. 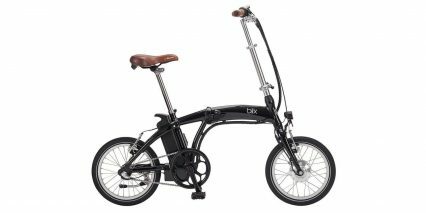 The Blix Vika+ is built around a wave “step-thru” frame that is much lower than the average folding electric bike, but they have reinforced the downtube with a gusset plate near the head tube and a mini top-tube near the bottom bracket. This increases strength and stability, it also helps to balance out any rear cargo you might add to the back rack. I appreciated the plastic chain guide, which will prevent chain drops and also keep your pant legs or dress ends clean and snag-free. 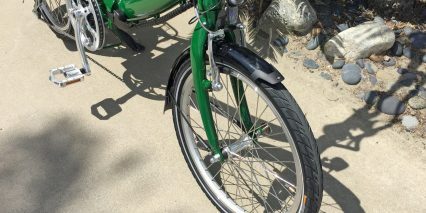 The kickstand is positioned out of the way on the left, so it won’t collide with the crank arm when walking the bike backwards. The stem offers adjustable height, so the bike can comfortably accommodate a wide range of riders, but don’t go too high or it will stretch the cables! I think Blix has chosen their cable wrap solution really well here because it looks clean and didn’t get in the way when folding… they utilize threaded metal connectors with rubber washers vs. the cheaper plastic press fit plugs. One of my favorite upgrades is actually the Wellgo metal folding pedals; they match the silver accents and provide more strength and surface area than the majority of other pedals I see on folding products. The bike isn’t perfect, they have made some trade-offs to save weight or money, but overall it works very well. Some of the trade-offs that I perceive are mechanical rim brakes vs. hydraulic, which would be easier to actuate. 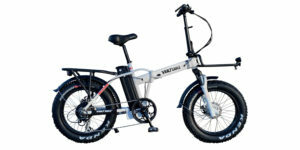 Some folding ebikes use disc brakes, but the rotors can get bent more easily when folding and transporting, so the rim brakes are a decent choice here. There’s no suspension fork up front, but the sprung saddle and padded grips felt decent and this keeps the bike more steady and definitely lighter. 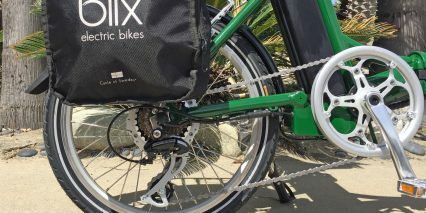 Pedal assist is activated through a higher resolution 12-magnet cadence sensor, but Blix has gone with a large external sensor verses the newer internal sealed ones. And finally, the on/off procedure requires a button press on the top of the battery pack before activating the display, which takes a few extra seconds. 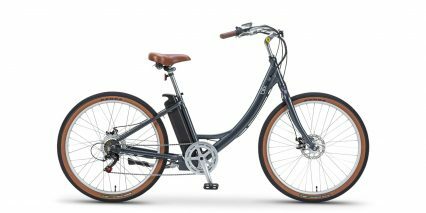 Driving this e-bike is a compact 350-watt nominally rated planetary geared hub motor, spoked into the rear wheel. Blix has refined all drive system hardware here, branding it as SpinTech. The motor felt smooth and quiet compared to similar offerings, and accelerated more gently because of its custom motor controller programming. I could hear a bit of whirring when operating at the highest level of assist, but it wasn’t bad at all, and the smaller 20-inch wheel size provides a mechanical advantage compared to 26″ on the full sized models that use the same motor. 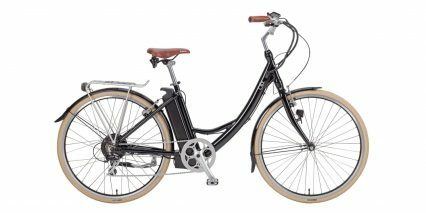 With the centrally mounted battery pack, the bike is very steady and even front to rear. 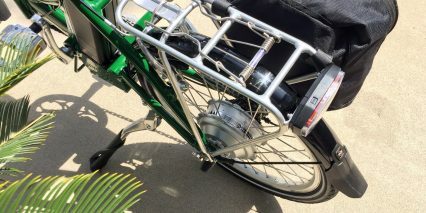 Geared hub motors usually offer the advantages of instant power, efficient freewheeling (so they won’t slow you down when coasting), they don’t interfere with the pedaling drivetrain, and they can be used more easily with throttles. 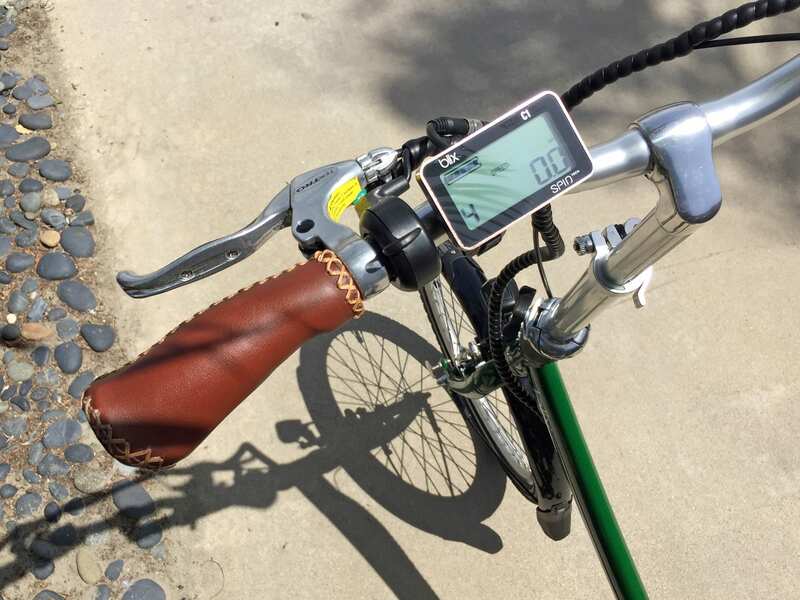 The Vika Plus utilizes a high resolution 12-magnet cadence sensor that is responsive in pedal assist along with a variable speed trigger throttle near the left grip. It gives you many ways to ride and eliminates the need for pedaling at all if you get tired or need to focus on balancing. 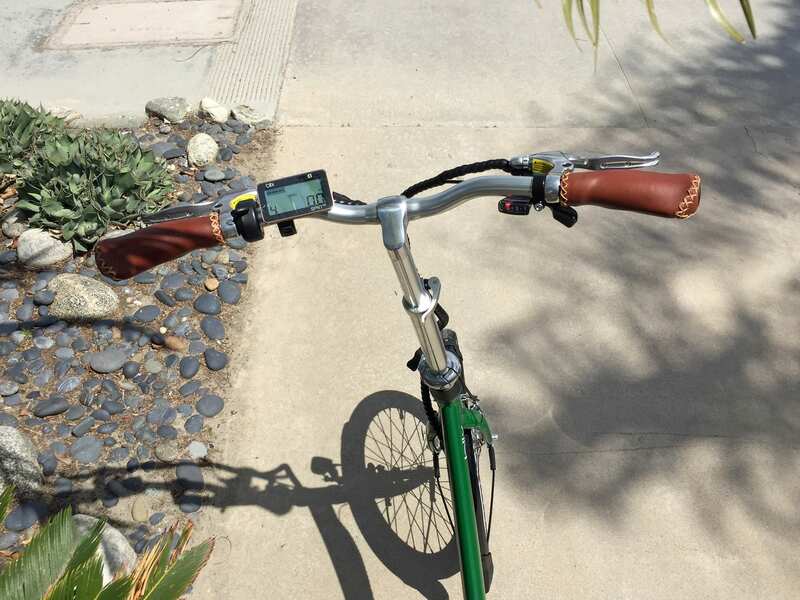 The throttle is live as soon as the display panel is activated on and it overrides zero, 1, 2, 3, and 4 assist, so be careful mounting, dismounting, and folding the bike if you don’t turn it off first! 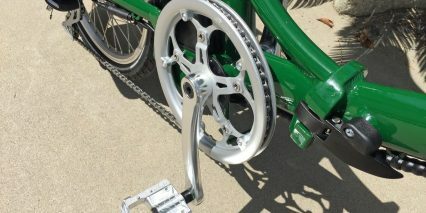 If you utilize the throttle and the highest levels of assist frequently, it will cut down on your maximum potential range, and t his is where the upgraded battery option starts to makes sense… It’s a great choice if you plan to ride further, enjoy throttle mode without pedaling, or plan to carry more weight. I enjoyed the bike most in assist levels 2 and 3 and pedaling felt very natural and comfortable. 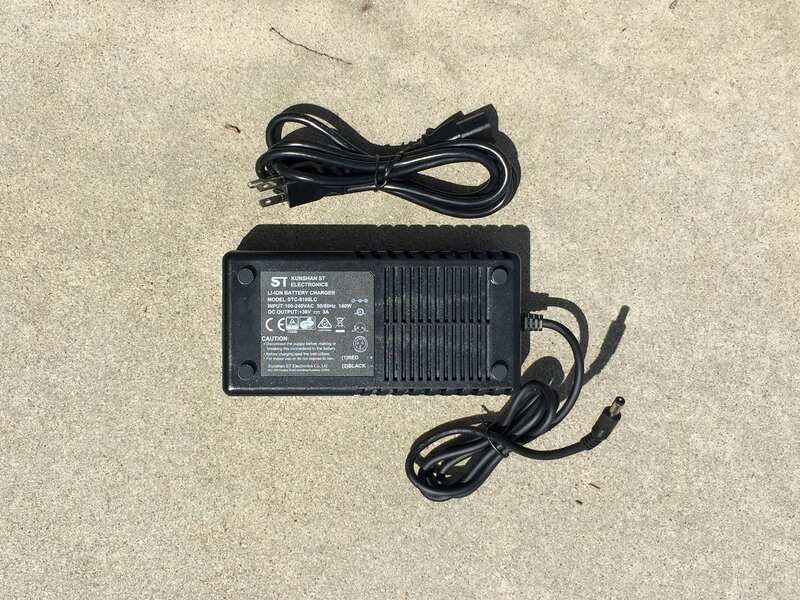 The stock battery for the Blix Vika+ is a 36 volt 11 amp hour 396 watt hour size. This is average or maybe even a little above average for the 2018 timeframe. 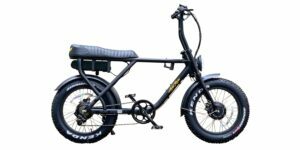 I was talking to the founder, Pontus Malmberg, about battery size choices, and he explained that the seat tube packs are interchangeable, so you can actually upgrade to a 36 volt 17.5 amp hour for just $200 at the time of purchase or $599 separately. 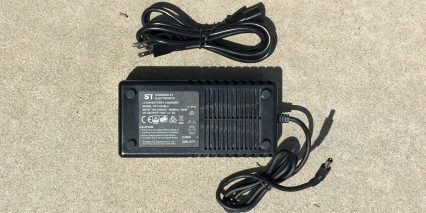 I’m not convinced that the upgraded pack would be necessary for most riders because the stock battery charger is lightweight at just 1.3 lbs and faster than average, putting out 3 amps. You could easily bring the charger along in a backpack or trunk bag and use it to top-off at work, school, a friend’s house, or a restaurant as you explore new destinations. Being able to quickly and easily remove the battery is fantastic, and I appreciated the molded handle feature at the top; it felt secure in my hand. To maximize the lifespan of the battery, always store it in a cool dry location (avoid extreme heat and cold) and try to maintain at least 20% capacity because going all the way to zero can strain the cells. If you do drain it completely, just charge it up again as soon as you can. 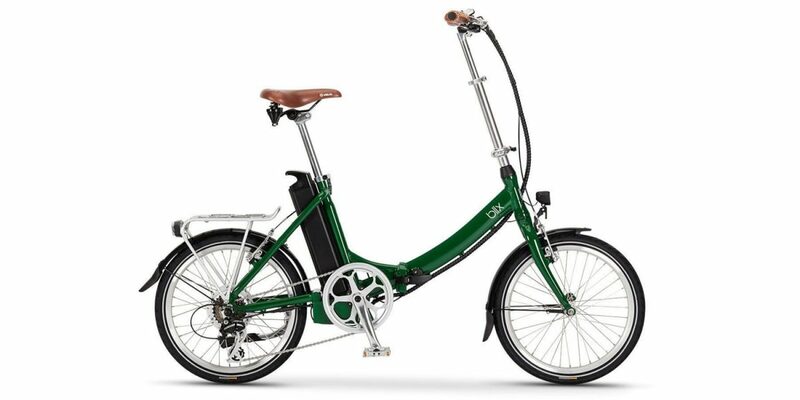 The charging port for the battery is raised up on the right side, so you won’t be vulnerable to the crank arms and pedals snagging, which is something I see with many other products. The primary drawback to this battery in my opinion, is that you must power it on separately from the display panel as mentioned earlier. 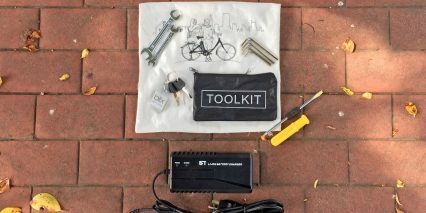 This two-step process takes a bit more time and can be frustrating if you forget and hop onto the bike without first reaching down to activate the battery. Also, it’s too bad that the battery pack and display do not have USB ports for charging portable electronics on the go. This is something I have seen on a few competing products and it’s nice to have if you plan on using a phone for GPS… especially if you upgrade to the 17.5 amp hour battery. Turning the bike on requires that first step of activating the battery and then a second power button press on top of the display panel. 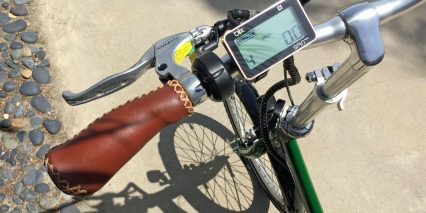 The LCD is beautiful, large enough to be seen and read clearly while riding, but not overly crowded with buttons and wires. The cockpit is actually very clean considering that both brakes have motor inhibitors, there are trigger shifters on the right, and the display and throttle! That’s a lot of wires, but they are all wrapped up with plastic spiral tubing. 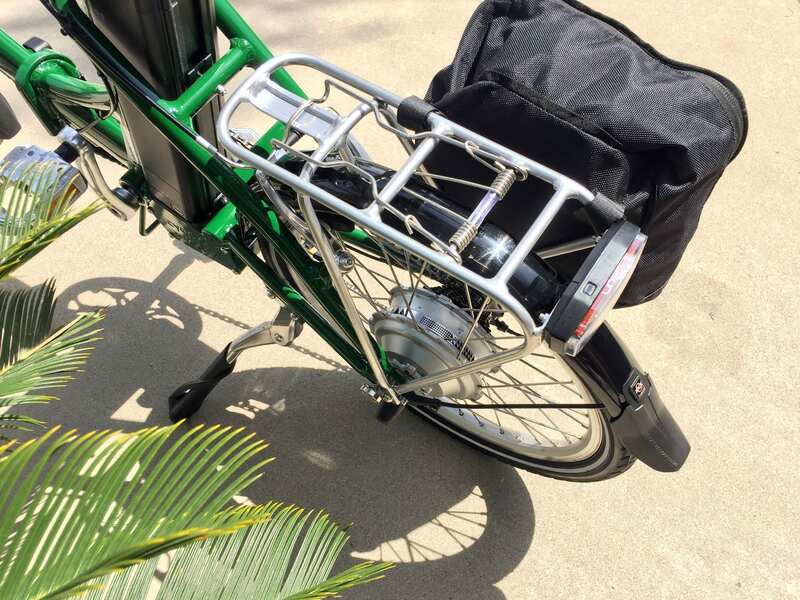 The connector points use metal threaded locks with rubber washers to keep water out and should be more durable as you fold and unfold the bike repeatedly. The display itself isn’t removable and could get scratched at the bike rack or while folding and transporting, but you could simply put a sock or microbag over it as a solution. The display doesn’t swivel easily and could produce some glare if the sun is positioned behind and above you, but I found that it was fairly easy to read and use. The power button doubles as a mode button, allowing you to cycle through trip stats like current speed, average speed, max speed, and distance. The up and down buttons allow you to adjust assist levels, and the menu goes from 4 back to 0 so you can basically save clicks by going “around” instead of all the way back down or up. Hold the up arrow to activate the LCD backlighting and integrated headlight. Hold up and down to enter into the settings menu and change units. It’s all fairly standard and intuitive, but the buttons aren’t quite as reachable as they would be without the trigger throttle also mounted on the left side of the handlebar. You do have to reach over a bit, and I’d probably use more of a “set it and forget it” approach with assist level 2 for efficiency and occasional throttle override for help starting and climbing. 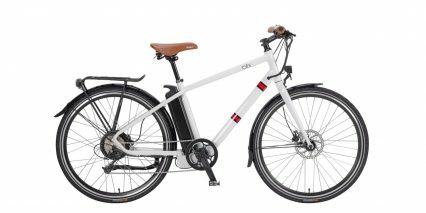 Ebikes like this are great, because it’s not so inconvenient to stop and you really don’t have to pedal if you need a break or are trying to stay balanced. I really like how the throttle is setup. 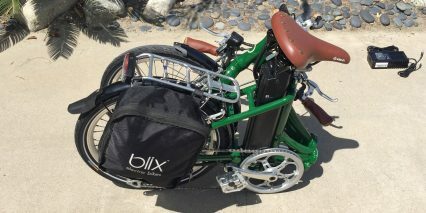 There are always trade-offs when it comes to organization and simplicity vs. features but I love where Blix ended up. However, I wish that the Vika+ had included a little flick bell in the left brake lever like the Vika Travel has, it’s useful but doesn’t add clutter or push the throttle and display further out with an aftermarket bell. Blix is doing a great job growing their dealer network and refining their product line. 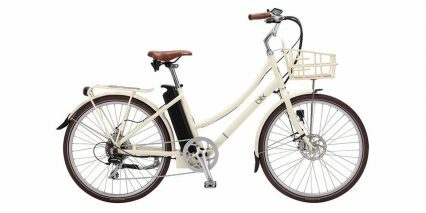 The Vika Plus is one of their most popular bikes, and I can definitely see why. It’s beautiful but not overpriced, the components are all upgraded, and safety and strength have really been taken into consideration. 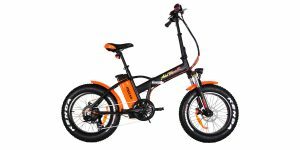 Many women and smaller riders opt for folding bikes like this for everyday use, because of how approachable they are. 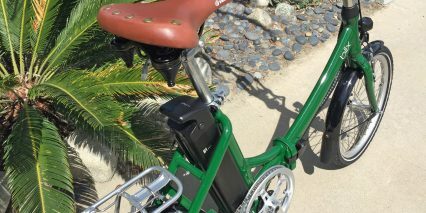 The step-thru frame is incredibly low but weight is positioned well and the battery is easy to remove for charging or transport because of the flip-up saddle mount. As I was learning about this updated model, I asked Pontus about the name of the company and some history. He’s originally from Sweeden and was inspired by the vintage European bicycle designs that he saw growing up. The name Blix means lightening and Vika means fold. 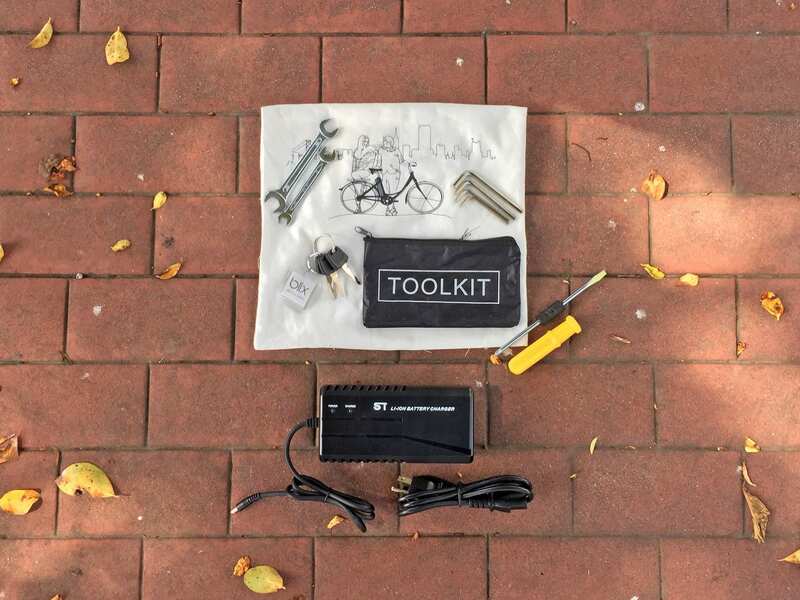 It was cool to see how much attention he and his team have paid to user experience here, including a nicer tool set and a canvas carrying bag. I’ve heard that some busses and subways won’t allow bikes onboard unless they are bagged. 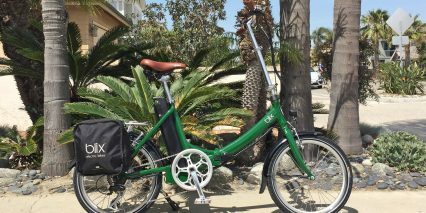 When you combine the easy folding, magnetic clasp design, and utilize the bag, this bike becomes very easy to transport. Just be careful with the display and the motor power cable on the right side, so they won’t get scratched up or bent. 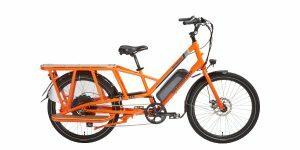 These are standard considerations with nearly every folding e-bike I’ve tested. 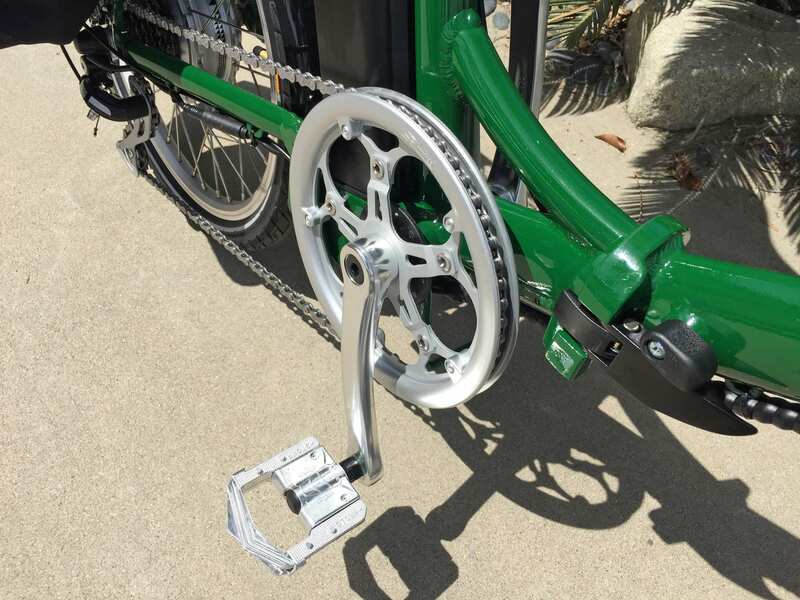 It’s worth noting that the base of the frame, below the bottom bracket, is very well protected by a metal support strut that will keep the plastic chain guide from making contact with the ground. 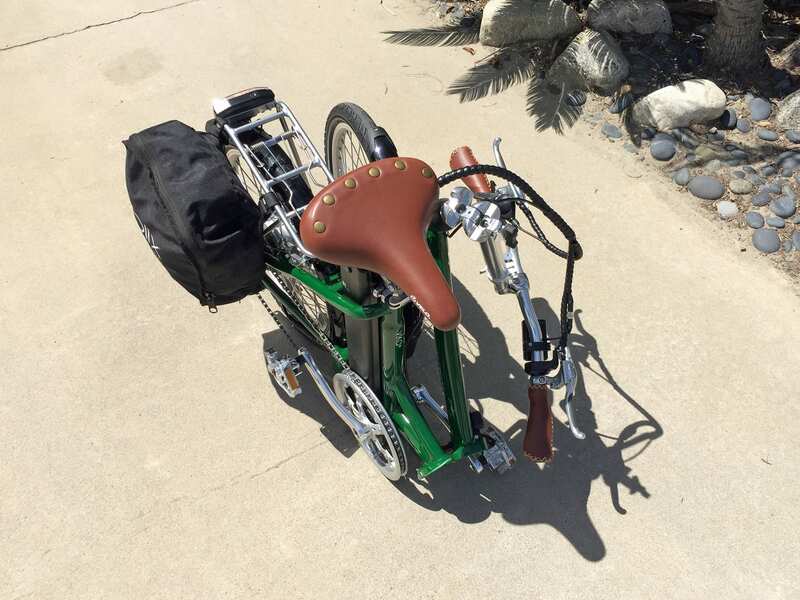 We didn’t show it in the video (sorry) but the Vika Plus can be towed around when half-folded, and that’s a lot easier to do than lifting it up since the bike does weigh nearly 50 lbs. Big thanks to Blix for partnering with me on this review and to Pontus for hanging out with me and bringing multiple bikes to test back to back. I’ll do my best to answer questions in the comments below and I welcome you to connect with owners and share your own experiences in the Blix forums. 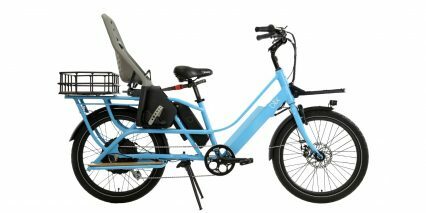 This IS a VERY popular ebike at my shop here in northern Illinois. 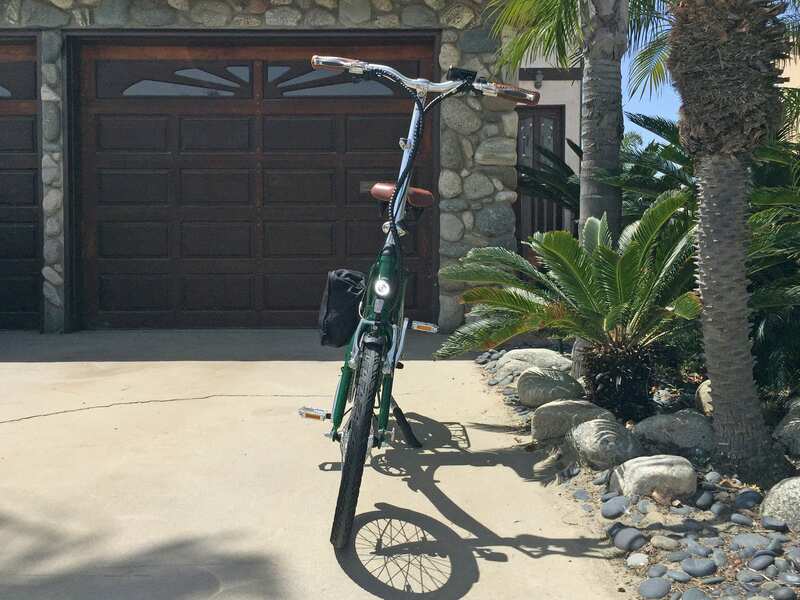 Very utilitarian, serves a lot of purposes, fun to ride, and many people choose bc they don’t need a car rack to carry the ebikes… just fold ’em up, and plop them in the trunk or back of your small SUV or mini-van. The review was very helpful. 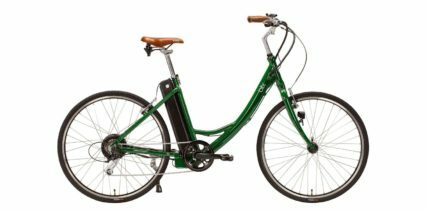 I recently purchased the Vika+ at my local bike shop. Perfect for my commute to work (~9-10 miles). I plan on mostly storing it under my desk at work or leaving it in my apartment, but would like to lock it up to a rack when running quick errands like groceries or coffee. 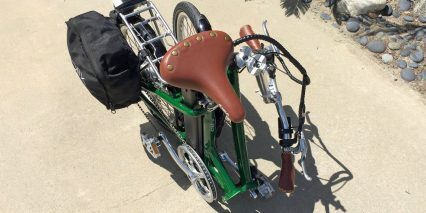 Would a standard kryptonite u-lock and cable combo be sufficient to use with this bike? 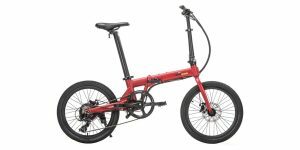 What’s been your experience with locking up folding bikes given the different frame size and build compared to normal bikes? I know with normal bike you can usually lock up rear wheel and part of frame. Thanks! Howdy Slim, I like your idea with the u-lock and cable… that’s what I do for my own bikes and have found that as long as you lock some portion of the frame that cannot be unhinged or passed through the u-lock it should be fairly secure. A decently thick cable should protect the seat and both wheels. I often use a small saddle leash cable for my seats – to protect seat post droppers and suspension seat posts. Here’s a short guide with me showing how I lock my mountain bike, hope it helps! I think what he means is (and also of interest to me), what is the max weight and height for a rider of this bike according to the manufacturer. Hi! Pontus from Blix here. The (conservative) recommended max weight is 230 lbs, and we recommend it for anyone up to 6’3″, I’m 6’2″ and can it ride comfortably. Hope that helps! I purchased Blix Vika two years ago (after reading your review and asking several questions). I still ride on the original battery. 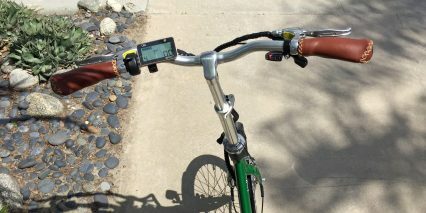 I’m using it to commute to and from work (about 2 miles each way), grocery shopping, and such. Good bike! 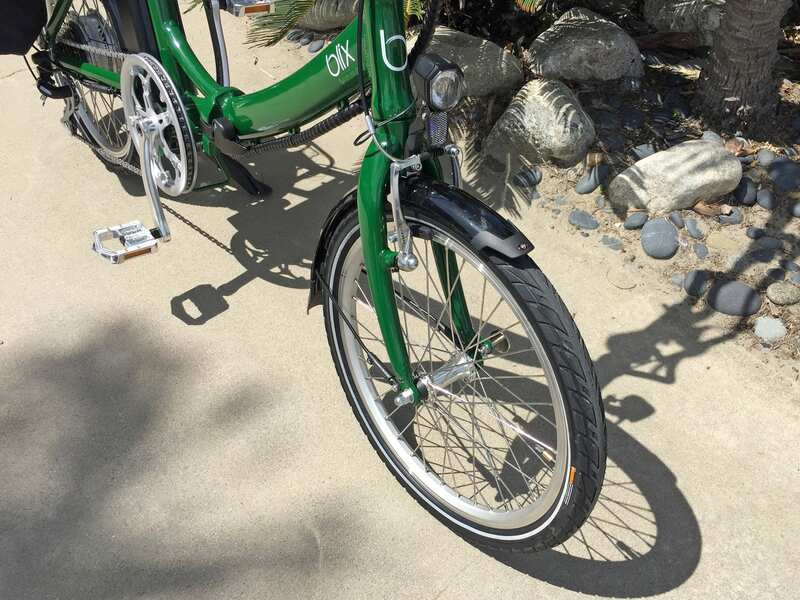 Couple of minor annoyances: front fender tends to move sideways and rub against the wheel; wires connecting front light are a bit short and easily get disconnected. Ortlieb large rear basket works great for me. Cool! Thanks for the field report on this Olinda ;) I did a google search for the Ortlieb rear basket and found this. It looks almost like a bag or something, do you like it? Glad to hear that the bike is still working well for you, thanks again for the update! Glad to hear you like your Vika+ Olinda! I would recommend checking if you can pull the front light cable out of the cable wrap a bit to make it a little longer, the cable itself should be long enough and not disconnect very easily. Feel free to call our support as well if you want help with this! 855-655-BLIX. 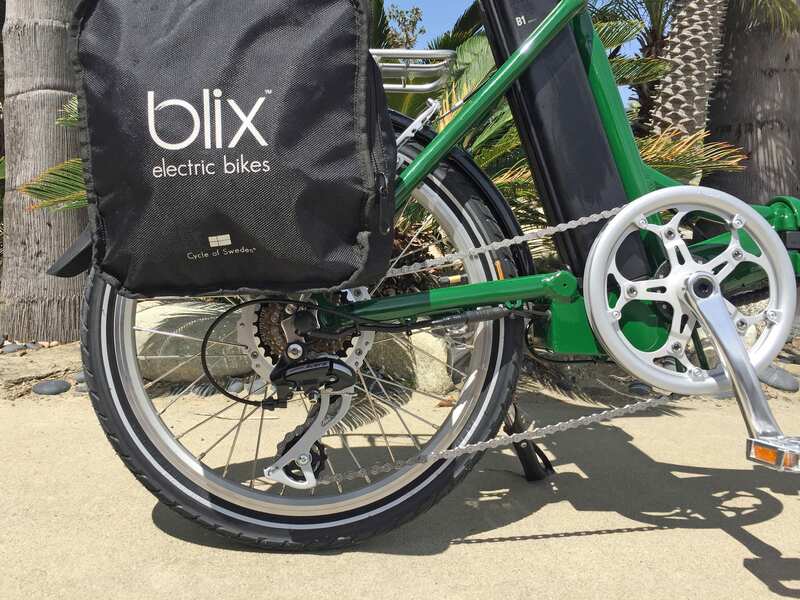 Thanks for being a Blix rider! Yes, that’s the bag. I do like it a lot. It’s kind of expensive, but very practical, as it clips directly to the bike rack, securely and no hassle! and it’s very light. Also generous in size. Simple idea and surprisingly unique design. Great review, Court. 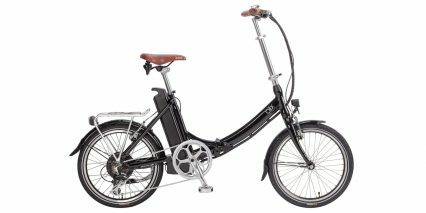 After test riding a number of folding ebikes (and reading your helpful reviews), my wife and I chose a beautiful black Vika+ as our first foray into the amazing world of electric bicycles. We picked ours up from Flyrides in La Jolla and they were very helpful in creating a great first impression. Neither of us had ridden for a few years, so the low step-over height and smooth power delivery were a major plus. What I really like about the Vika is the sleek European design and quiet operation. I can zip along the many bike paths in the San Diego area quietly and don’t have to worry at all about hills. Battery life, integrated lights, and brake operation are great. As far as improvements go, I would like to see a bike like this geared one notch higher for some of the faster bikeways, and like you mentioned, the addition of a bell on the handlebars. 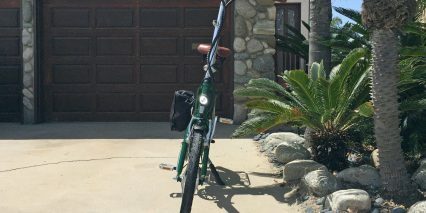 Overall, the Vika has made bike riding fun again and it all fits in the back of our compact SUV. Is Blix out of business or something? I tried to order but none were available?